The Society of the Inner Ear is On the Air on KZME! Good news for lovers of the audio form. KZME 107.1 FM in Gresham, Oregon has begun broadcasting a new program dedicated to the spoken word and audio storytelling. It’s called the Society of the Inner Ear and it airs Sundays at 2pm pst and features the work of not only the Willamette Radio Workshop, but Dry Smoke and Whispers, Afterhell and Ollin Productions and a wide variety of both old and new programs. TSotIE will be a cornucopia of different style, genres and experiments and I’m sure there will be something to tickle your imagination and while away a Sunday afternoon or two. The program began with an homage to the masters of audio mirth, The Firesign Theater. A nice dedication to a group that inspired all of us involved and timely tribute with the passing of Peter Bergman. Listen to the KZME Stream HERE. We would love to hear what you think and what you might like to hear in the future. Turn on your radios and search for sound! Posted in 2012 Season, Broadcast Shows, Uncategorized, Writers on the Air Workshop. Willamette Radio Workshop announces its 5th annual Writers On-the-air Workshop (WOW) starting July 15 and meeting every Tuesday evening(7-9 pm) through August 12. Writer and educator Cynthia J. McGean, recently returned from presenting a series of writing workshops at the National Audio Theatre Festival, will lead writers in a collaborative, peer-driven process using the audio theater medium to explore their craft. This year’s focus will be on developing strong characters. Participants will meet for 2 hours every week to examine how audio theater changes and informs the writer’s process for developing characters and conveying character traits to actors and the audience. Willamette Radio Workshop will select scripts developed during WOW 2008 for readings and future productions. Previous WOW scripts have received multiple national awards, been produced and aired around the country and evolved into stage productions as well. WOW is offered at no charge to anyone committed to the process and interested in exploring writing through the audio medium. The Willamette Radio Workshop is a professional theatrical organization based in Portland, Oregon, and dedicated to the creation of original material for radio, internet, compact disks and other audio venues. We produce our shows both in studio and at live performances. We seek to acknowledge the influence and preserve the history of radio theater as we work to create its present. To this end, our work also includes re-creations or re-imaginings of classic radio programs. WRW is the proud recipient of four Ogle Awards, two Mark Time Awards and a Crystal Communicator Award for excellence in the audio medium. For more information, check out our website at www.radiowork.com. For more information or an application, please contact WOW Director Cindy McGean atï¿½cjmcgean@aol.com. 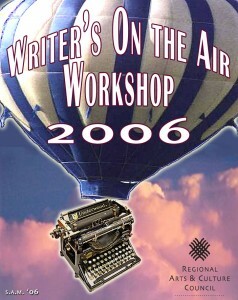 Posted in 2008, Writers on the Air Workshop. Tagged 2008, writers workshop. WOW participants meet two to three times a week to discuss and revise their scripts through a peer-driven, collaborative process led by WRW dramaturge and published playwright Cynthia McGean. The three-week workshop begins Saturday, July 8, with an introduction for those new to audio theater, and culminates July 29th in recorded readings of the scripts with actors chosen by WRW Director Sam A. Mowry. Three pieces from WOW will be selected for full production and broadcast. WOW is free and open to those interested in exploring their writing craft through the medium of audio theater. For an application, contact Cynthia McGean at cjmcgean@aol.com. Past WOW productions include Gold Ogle Award Winner Next Yearâ€™s Girl, by Heather Breeden and National Audio Theatre Festival Grand Prize Winner Pandoraâ€™s Box, by Cynthia McGean. WRW is proud to present WOW productions on local radio station KBOO, as well as community radio stations around the country. 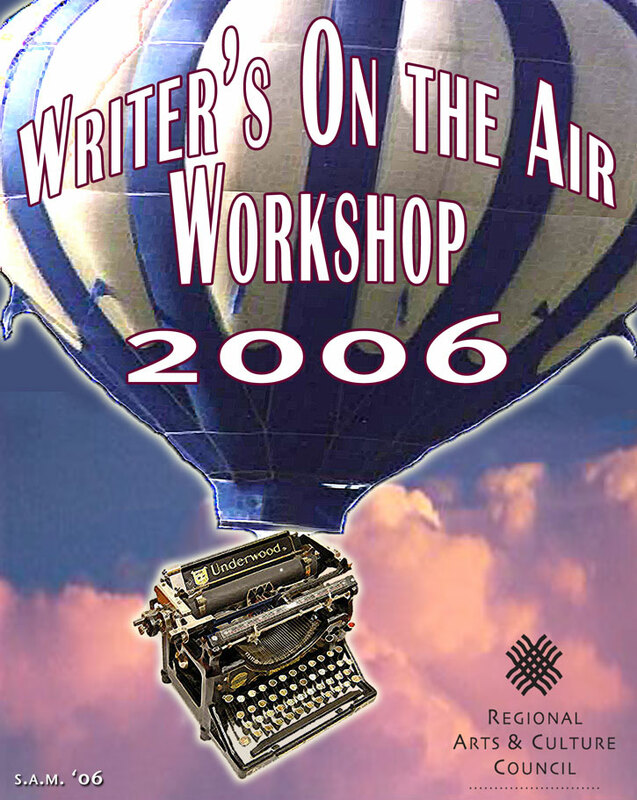 Posted in 2006 Season, Writers on the Air Workshop. Tagged 2006, writers workshop.